Get a Gift Card with an amount of your choice to offer to a loved one! A Gift Card for 100 EUR. A Gift Card for 75 EUR. A Gift Card for 50 EUR. 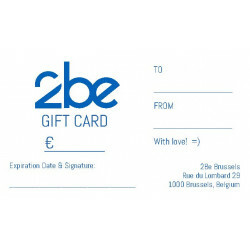 A Gift Card for 25 EUR.